Each year, my parents have a tradition that we always do in preparation for the holidays! It's so fun to see how we all change and grow through the years. This year, it was the first year we were all married (Jul & Matt were married in July) and we all picked out our own trees together. J, Kel, Ryan... and Baby O! We ended the hunt with a big lunch together. It was perfect weather! Can't wait to get my tree up on Wednesday... can you believe the holidays are here?! What a cute and beautiful family you all make together! 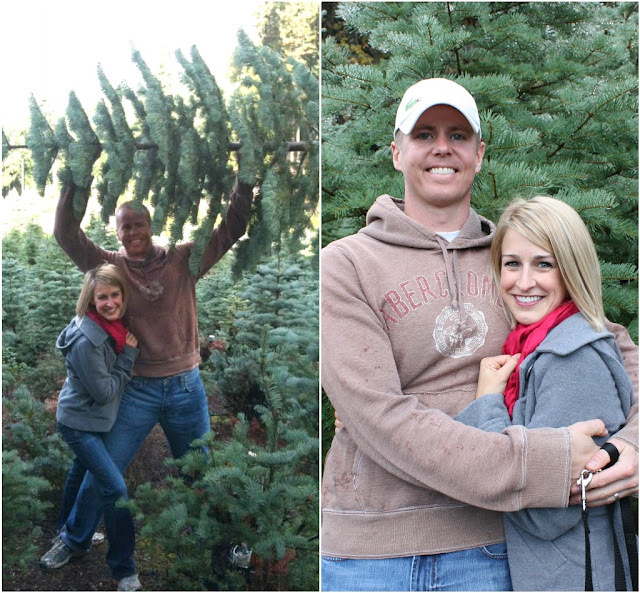 Looks like a super fun outing...love getting a Christmas tree! What a fun tradition! I wish I lived somewhere where we could actually go but down trees. Can't wait to see pictures of it up and decorated! Such a cute family tradition! I love this! Such a fun tradition! My family use to do it when we were kids! It was a wonderful day! We are so incredibly blessed! Thats such a great family tradition!! What an awesome tradition!!! I wish my family did something like that. Maximus/ Zeus (I couldn't tell from the bum) are just adorable running alongside little Ryan! That is such a great tradition! And it looks so fun to pick it out! I'm allergic to real Christmas tree's so I'm not sure if when Brian and I get married we will have a real or fake one. Real ones are always so much prettier!! that is the most adorable family tradition! Can't wait to see it when it's decorated!!! That's a terrific tradition! you are very blessed to live near your folks for such fun get together gatherings! I'll be starting to decorate this week while we're off school but will leave the main tree til Friday which is our tradition - and actually my daughter's birthday that day too! What a great tradition!! Looks like such a great time!! Such an adorable little fam you have!! Can we talk about how much you and your sisters look alike??!! 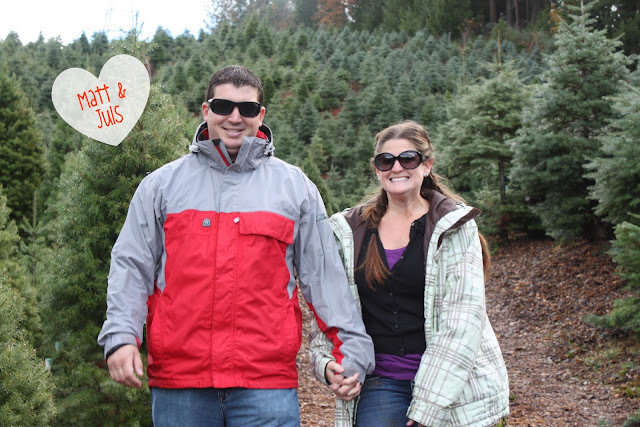 While my hubby and I are fake tree people, I think this is such a great tradition. I'm sure it is hard to get your entire family together, so what a special excuse! You guys have something to look forward to each year. Love it! 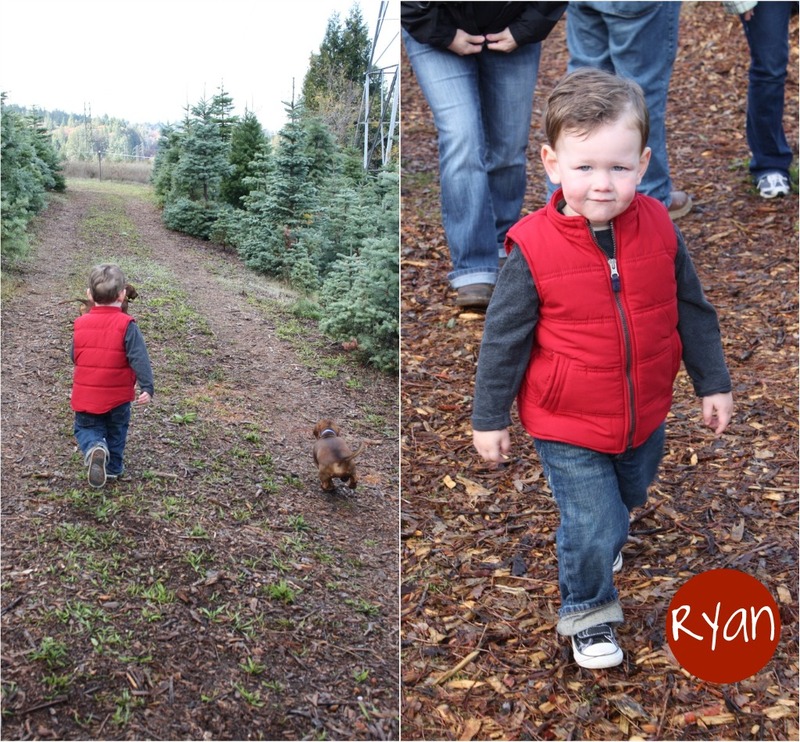 This is seriously the cutest and best holiday tradition ever!! 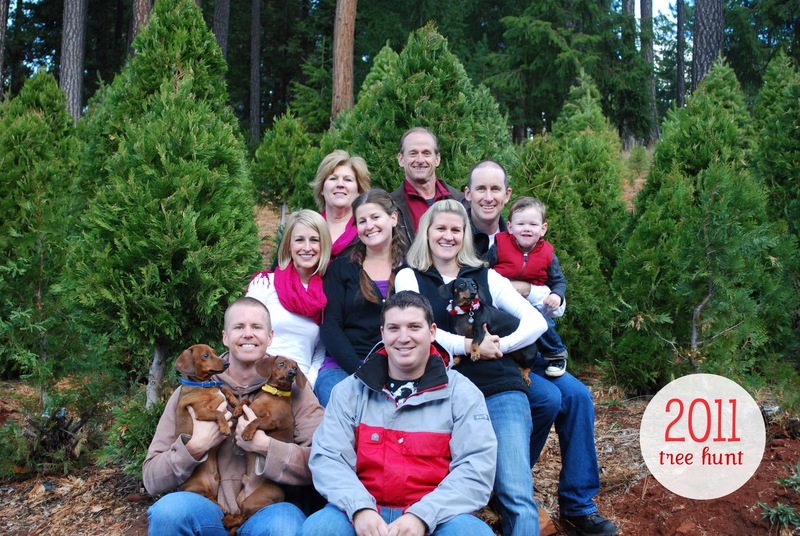 I love the pups in the family picture too! So cute! Love the whole family pic and TL lol! That last picture is great, Tracy!!! I love it! I also love the picture of your pups! I want to snuggle them! A beautiful picture of the whole family! Those are great pictures and a great tradition! I really love that last picture, it looks like your pup in the yellow collar is snarling at your brother in law! Love that the pups went. Your dogs make me smile..BIG! How great! I wish there was a Christmas tree farm close to where we live.